Welcome to 520 Butler Street, a very quiet environment where the end of Butler Street meets green space. This location is approximately a 15-20 minute walk to the main shopping street in the beautiful historic Niagara-on-the-Lake village. This lovely side split home has been well maintained over the years. 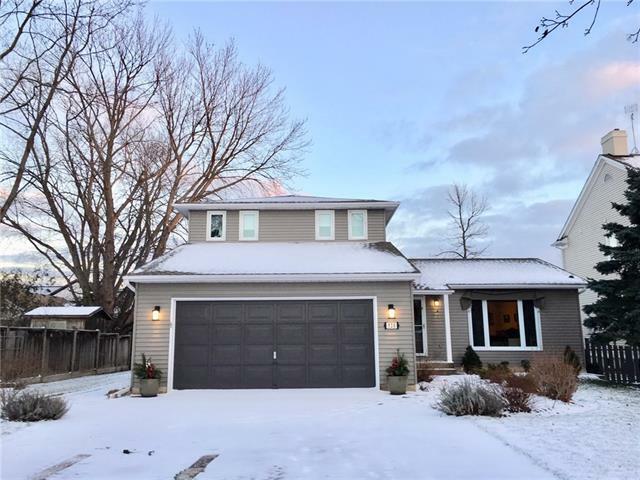 You will appreciate the natural flow from room to room, the custom maple custom kitchen cabinets (2012), the inviting main level family room with a bricked wood burning fireplace. The glass sliding patio doors leads to a large deck that enjoys great views to the deep private back yard. The formal living room and dining room are perfect for entertaining. The 2 pce powder room and laundry room on the main level are well positioned near the mud room. The upper level offers 3 sizeable bedrooms with the master bedroom having a walk-in closet and private ensuite privilege to the 4 pce hall bathroom. The lower level offers additional finished living space with a rec room, a 4th bedroom and a full 4 pce bath, for your guests. Truly a great family home with amenities steps away such as restaurants, Tim Hortons, banks, and the infamous “Willow” bakery where locals indulge in award winning goodies. Additional photos will be coming next week, along with a virtual tour. Some upgrades include: exterior steel siding professionally painted in 2018, A/C 2018, Central Vac 2018, Roof 2011, some windows replaced.